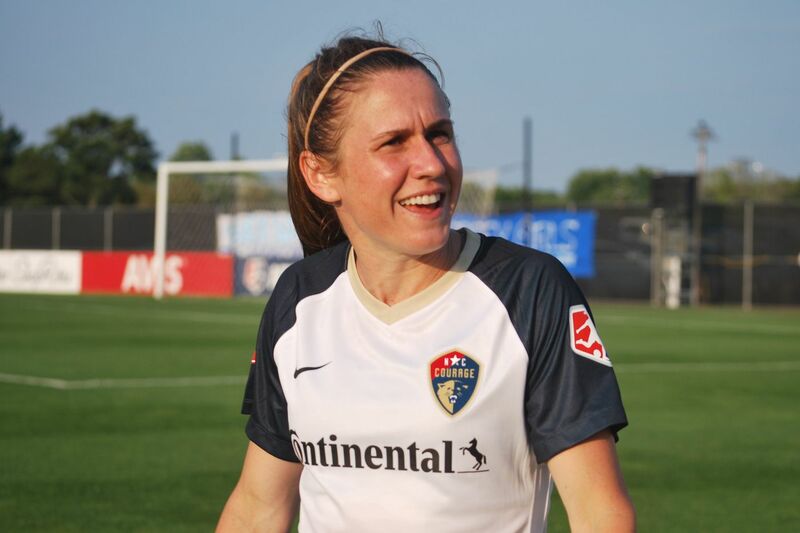 Last year, Heather O'Reily helped the North Carolina Courage win the NWSL regular season title, the playoffs and the International Champions Cup. Heather O’Reilly knows that it’s an odd look for her to be leaving the North Carolina Courage in the middle of the NWSL season to spend a few weeks in Paris as a studio analyst on Fox’s World Cup coverage. But the New Jersey native also knows, and acknowledged in a recent interview, that her playing career will end in the foreseeable future. Her experience and charisma make her a natural fit for TV work, and there should be plenty of it when she hangs up her cleats. So this is a start. Courage general manager Curt Johnson confirmed that the team gave O’Reilly its blessing to go to France. While in France, O’Reilly will be in the tricky position of commenting on not just former U.S. teammates with whom she won the 2015 World Cup, but also current Courage teammates such as Crystal Dunn and Sam Mewis. At least seven North Carolina players could be in the tournament representing the U.S., Canada, New Zealand and Brazil. "I think it will be an interesting challenge for me, but one that I'm really embracing and looking forward to," O'Reilly said. "At the end of the day, I'm just going to observe the level of the game, and I think that's why Fox or any broadcaster brings on former players. ... I am aware of the mentality that goes into these matches, and hopefully I'll be able to comment on that respectfully." O'Reilly is still close with a wide range of former U.S. players, including the 1999 World Cup winners who still played when she made her national team debut in 2002. She went from watching them from the stands at Giants Stadium at age 14 to playing with them three years later. Last week, O'Reilly hosted a panel with some of those players, including Kristine Lilly, Brandi Chastain and Briana Scurry.